Today we are highlighting an entertaining movie memory courtesy of R.A. Kerr from the wonderful classic film blog Silver Screenings. 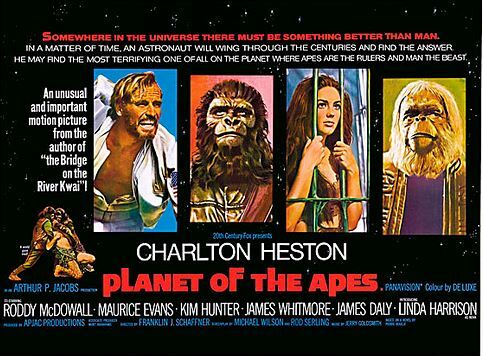 In her post, R.A. looks back at the Planet of the Apes series of films, explaining why she “just couldn’t get enough of” these movies as a kid. Head on over to Silver Screenings to read her engaging essay! R.A. Kerr maintains Silver Screenings, an irreverent blog devoted to classic film. You can also find her on Twitter at @925screenings. Ruth’s post was fun. Thanks for having her!